After the success of Polish musicians at the 2016 Early Music Season, in 2017 the event also hosted Polish artists specialising in early music. This prestigious festival is organised by Beijing’s Forbidden City Concert Hall in collaboration with the Adam Mickiewicz Institute under its brand Culture.pl. In 2016 Olga Pasichnyk, Michał Gondko and Marcin Świątkiewicz, who gave a series of concerts in Beijing and Wuhan, took the Chinese audience on a journey through masterpieces of Baroque music. In 2017 the concerts of the ensembles Il Giardino d'Amore and Luteduo were also a real treat for the early music lovers. The Early Music Season once again featured Baroque compositions, including Georg Friedrich Händel's arias bursting with virtuosity and emotion, performed by Il Giardino d'Amore – an ensemble with an international cast of musicians. Händel's operas are works of multithreaded plot, written in the Neapolitan style, undoubtedly worth bringing back from the oblivion into which they have fallen over time. It was not until the 20th century when these extraordinary gems of music were rediscovered and outstanding performances of Händel's greatest arias whetted the appetite of music lovers. Händel's sense of opera was unparalleled, as evidenced not only by his ease of creating numerous works, but also his exceptional talent for portraying human emotions through music. It is precisely the powerful emotional charge that seems to be appealing to the fans of Händel's music. This emotional musical essence of various shades of infatuation, hatred, despair and joy were presented to the audience of the Early Music Season by the orchestra Il Giardino d'Amore. 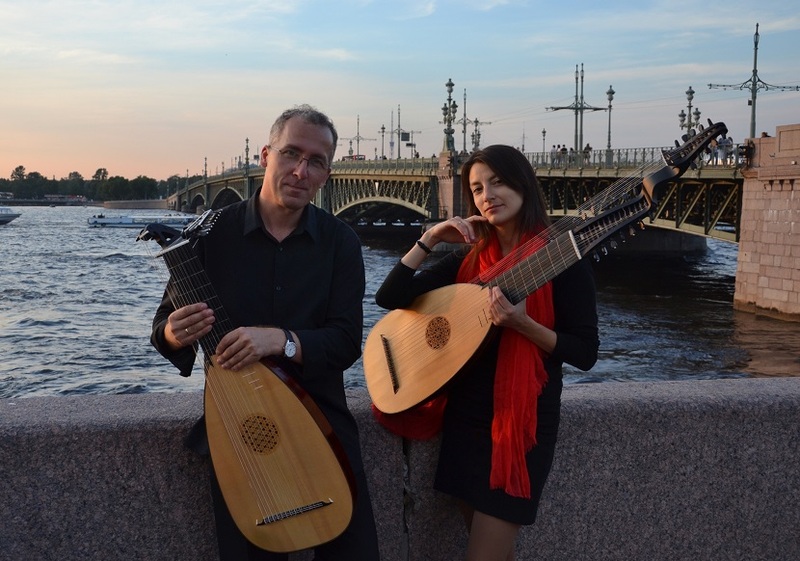 Another series of concerts featured works by two greatest lute composers: Johann Sebastian Bach and Silvius Leopold Weiss, performed by Luteduo. The Weissian method of playing the lute is considered the best, most sound, galant, and perfect of all, many have striven to attain his new method, just as the Argonauts sought the Golden Fleece. Johann Sebastian Bach mostly used the same musical language as his contemporaries or even predecessors, often being viewed as an orthodox. His music for lute is a great example of transcription art. Some of Bach's most popular lute works are suites BWV 995 and BWV 1006a, which at the same time appeared to be masterpieces of the cello and violin repertoire. As far as we know Bach and Weiss had rather intense contacts and even a kind of friendship that once led to competition in playing fantasias and fugues. This probably inspired Bach to add more lute colors to his compositional palette and definitely contributed to Weiss' compositional strive for deep and complex large scale works compared to Bach's keyboard suites. The concerts were attended by the Chinese early music lovers, regular and devoted audience of the Early Music Season. The festival programme did not disappoint their expectations, as it included not only famous masterpieces, but also no less captivating Händel’s arias, rarely performed at this type of events.